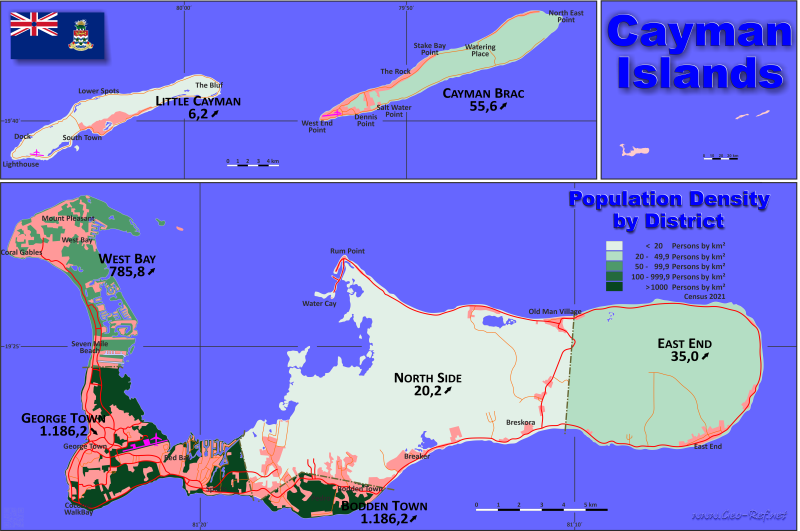 Cayman Islands - Click on the map to get a enlarged image in PDF format! An ISO code for the administrative units is not defined. The US FIPS code was used for the subdivision.